An unknown library created this display to help those patrons who can only remember the color of the cover of the book they wanted. Thanks, Lynne Thomas! Lots more funny library stuff at The Library News on Facebook. One commenter draws our attention to a related video, “The Confusing Library” by The Two Ronnies. Entry filed under: books, perpetrated by staff, public libraries. Oreo ad library shenanigan	A wedding in the library! 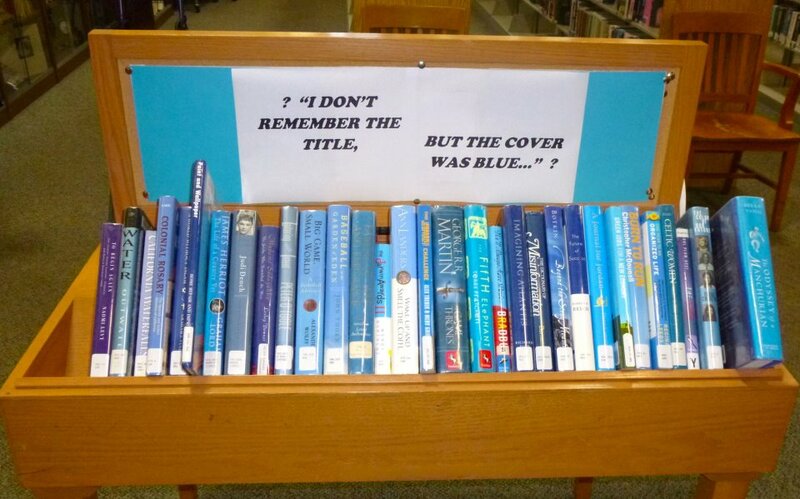 A very clever (and cheeky) Library worker must have thought of this! Love your post, and the photo you found was great! It seems you found a library that follows the system of the Two Ronnies sketch!